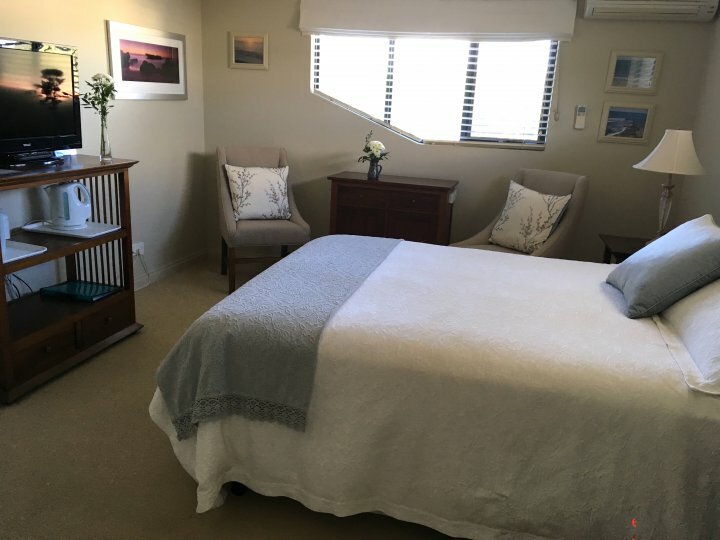 TRIGG RETREAT BED AND BREAKFAST - An affordable indulgence for holiday or business travellers in an award winning, boutique bed and breakfast - 4 star rating. 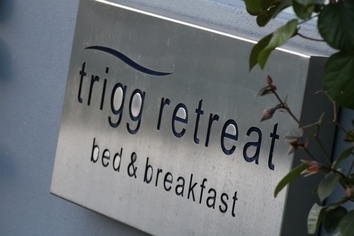 Trigg Retreat Bed and Breakfast provides three spacious and tastefully furnished queen size ensuite rooms set in a modern, two-storey home in coastal Perth, Western Australia. 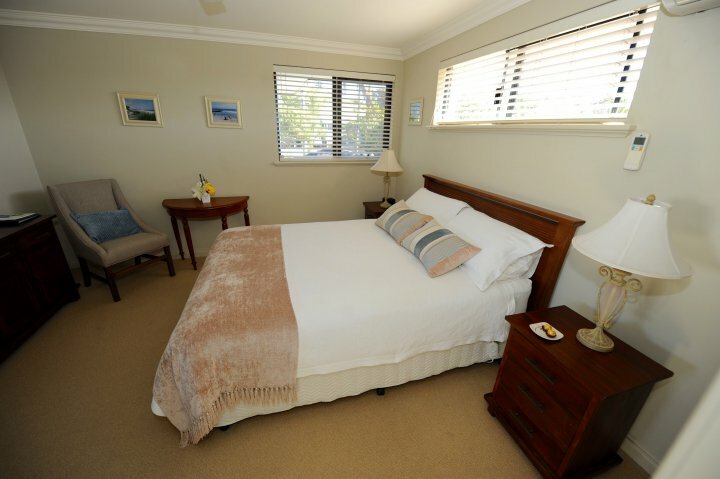 Each of the 3 queen size rooms has an ensuite bathroom with complimentary toiletries, luxurious queen size beds, air conditioning, TV/DVD with extensive selection of DVDs to choose from, fridge and tea/coffee facilities and a bedside treat. 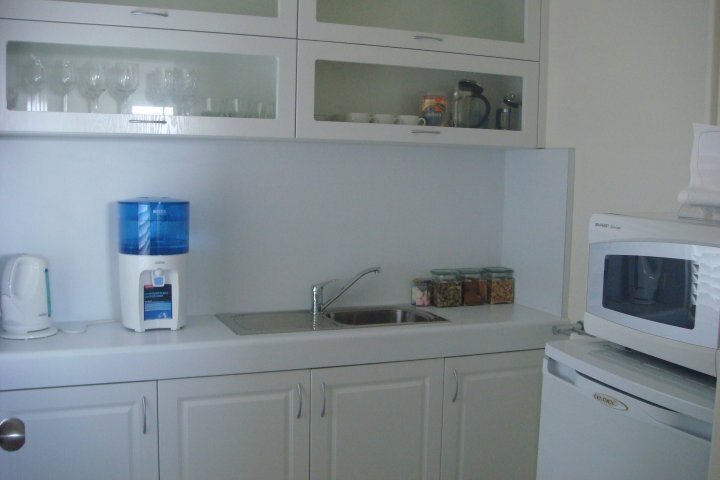 Relax in the upstairs guest lounge with mini kitchen and enjoy the snacks provided. 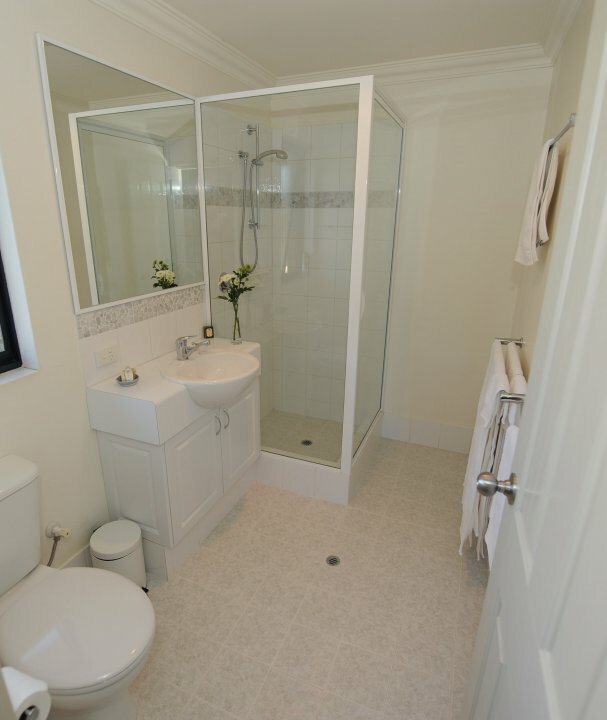 Three ensuite, queensize rooms available in total, therefore catering for a maximum of six adults at any time. 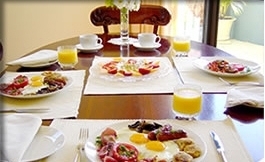 These can be booked individually or all rooms can be booked for a group with maximum of 2 adults per room. 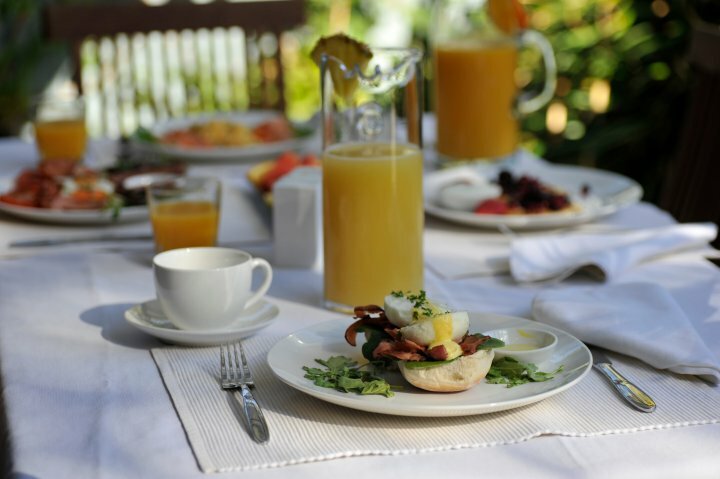 A delicious gourmet continental breakfast is included in the tariff, or an enticing hot selection is available each day, for guests to select from the menu. 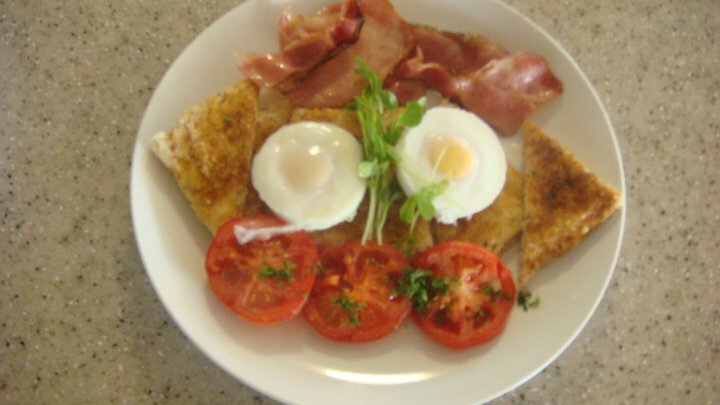 Breakfast is served in the downstairs breakfast room or outside garden courtyard. 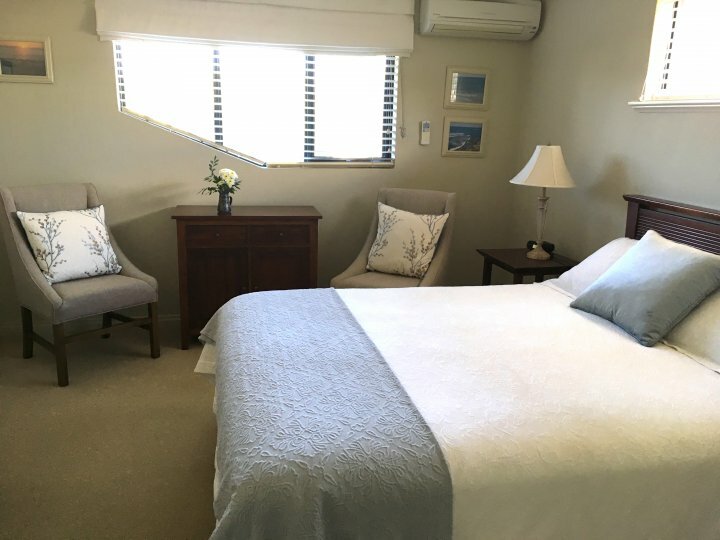 Trigg Retreat is the perfect base for your relaxing Western Australian holiday or business trip, and located 400 metres to a glorious coastline. 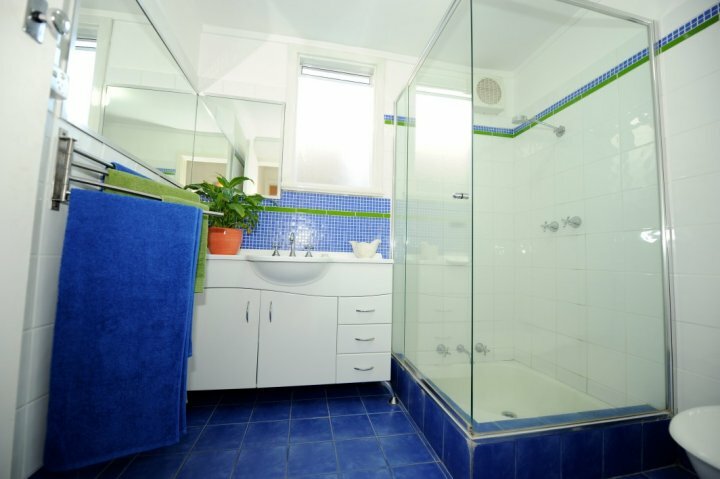 TRIGG BEACH COTTAGE - fully furnished, self contained cottage over the road from Trigg Retreat Bed and Breakfast. 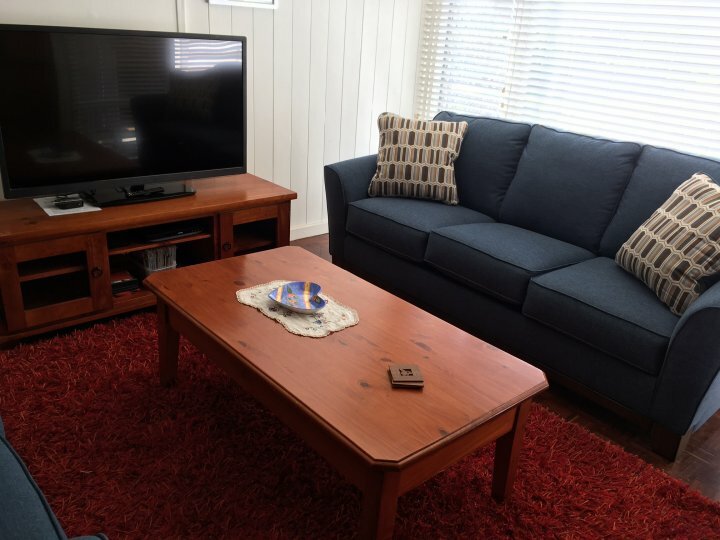 This cute beach cottage with 2 bedrooms, 2 bathrooms, 2 toilets is fully furnished and self contained with an onsite car parking bay. 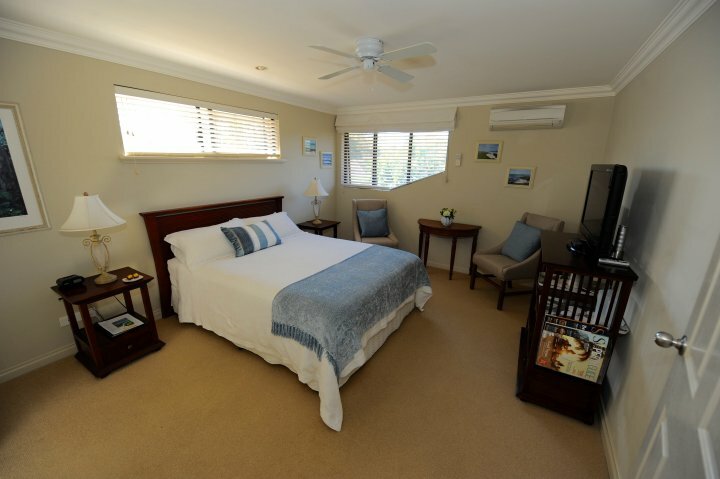 Suitable for a maximum of 4 people - main bedroom has a queen size bed and 2nd bedroom has two single beds. 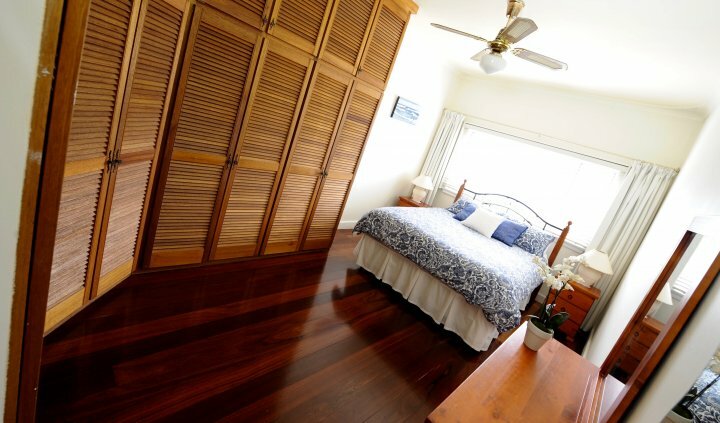 Recently renovated with jarrah floorboards, modern stainless steel kitchen, colourful dining area which leads onto a front patio, brightly cushioned living areas with ample seating, flat screen TV and DVD, spacious queensize main bedroom with extensive storage, bright and sunny twin bedroom, and delightful beach scenes hung on the walls providing a coastal theme. 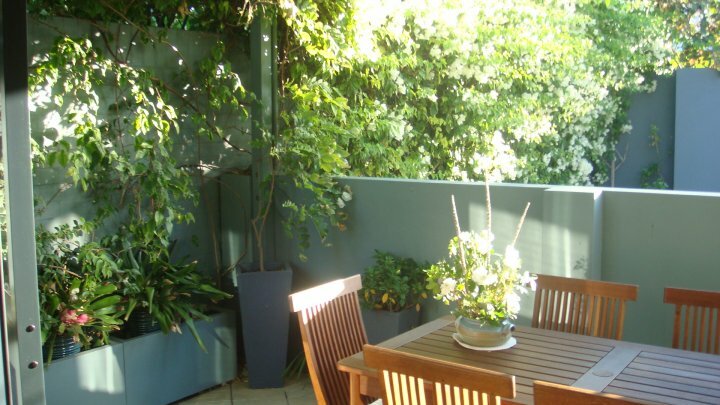 Outdoor living is easy with tables, chairs, umbrella and bbq to enjoy the divine WA weather. 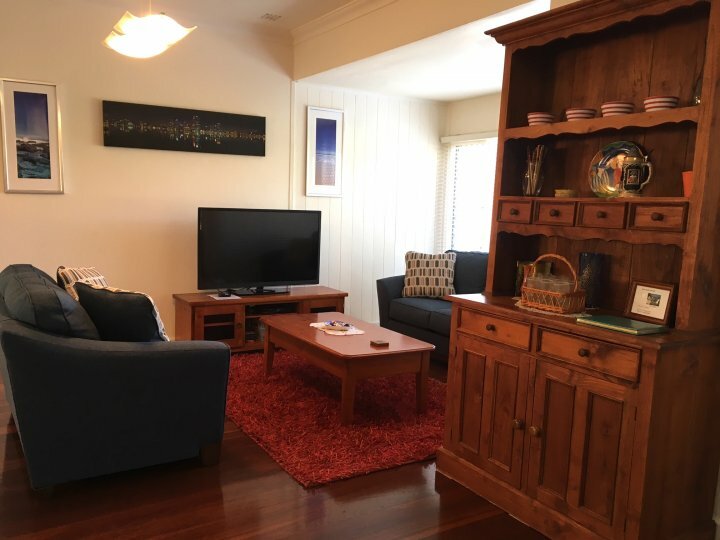 Perfect for either holiday makers or business travellers looking for self-contained facilities, spotlessly clean, air-conditioned main area, fan in main bedroom, close to the beach, easy access to public transport, and only 15 minutes drive from Perth City and 30 minutes drive from Perth Airport. 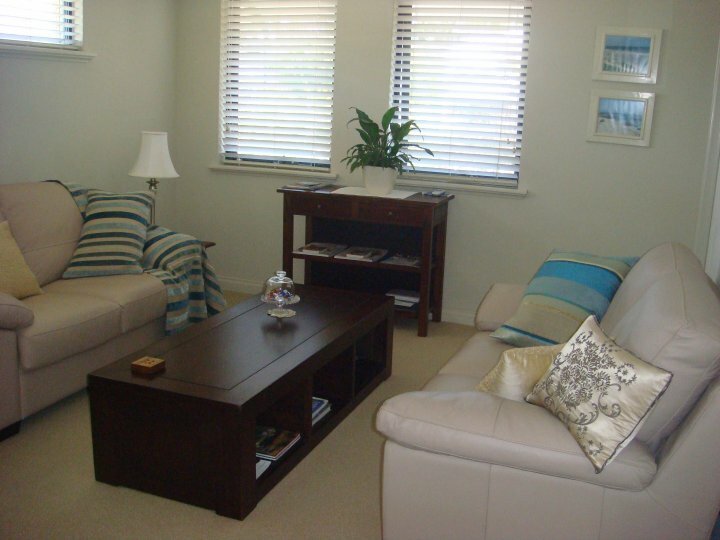 A perfect location just 400 metres to a glorious coastline. 'Just a stroll to the beach'. The magnificent West Australian coastline stretches as far as the eye can see. Views of the white sands and the crystal clear blue ocean will take your breath away. This coastal strip caters for everyone - walking and bike riding paths, surfing, safe swimming beaches and bays and enticing places to eat. A perfect location just 400 metres to a glorious coastline. 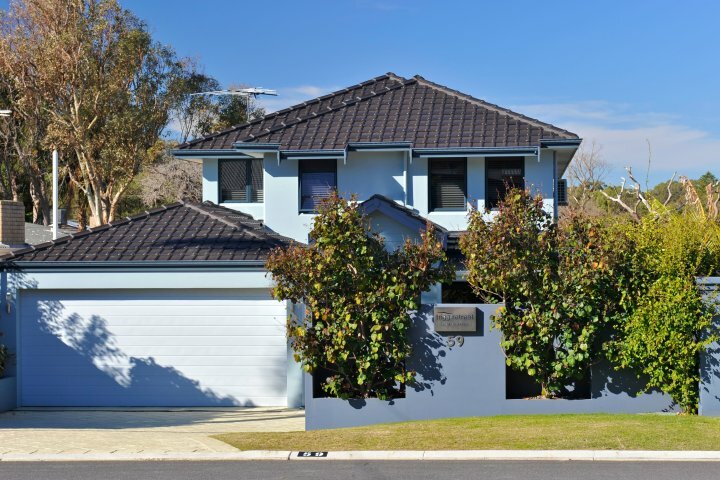 Only minutes from popular Perth beaches such as Trigg, Scarborough, City Beach and Sorrento beachside cafes are walking distance fascinating Hillarys Marina/Sorrento Quay just a 10 minute drive. From the marina catch a ferry to idyllic Rottnest Island, enjoy a whale watching tour, or view the underwater aquarium at AQWA. 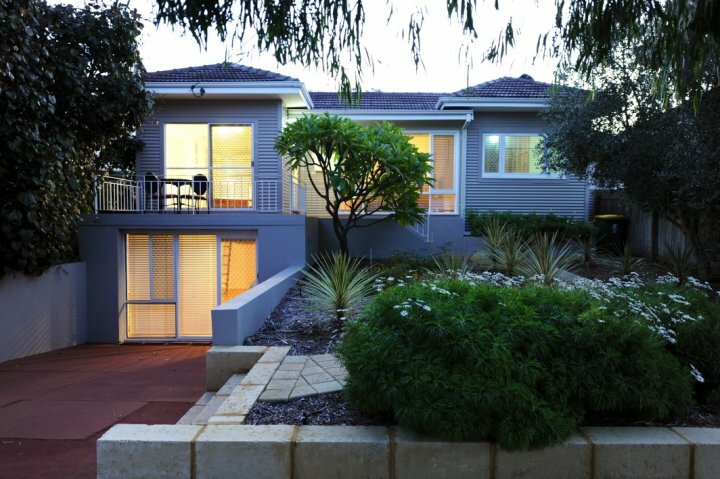 Enjoy Karrinyup shopping complex (boutiques, eateries, major department stores) and an excellent public golf course, both just 5 minutes drive. Perth, Western Australia's capital city, is just a 15 minute drive or catch the bus from outside the house. 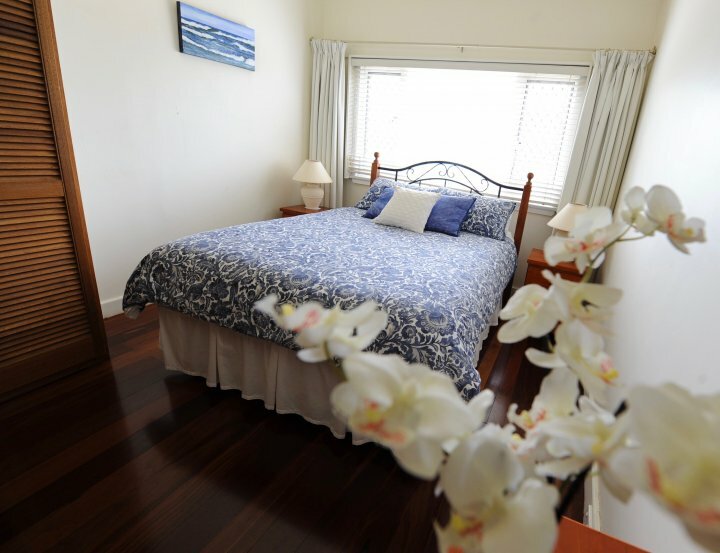 queensize, ensuite room including a gourmet continental breakfast, free wi-fi, free off-street parking. 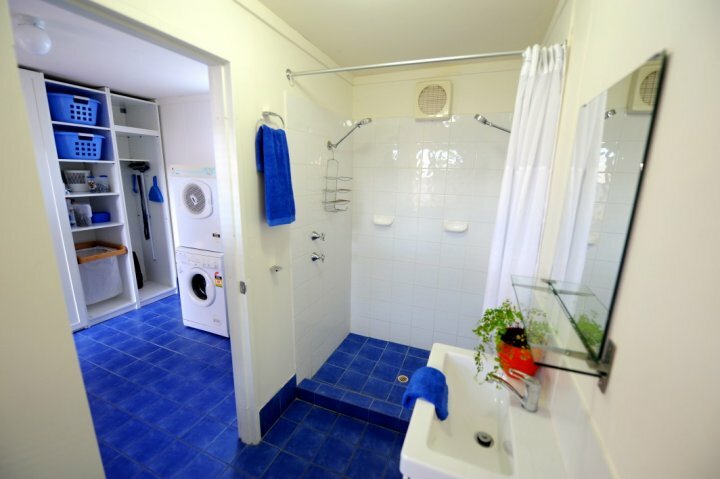 Free wi-fi facilities available throughout Trigg Retreat BB and at Trigg Beach Cottage. 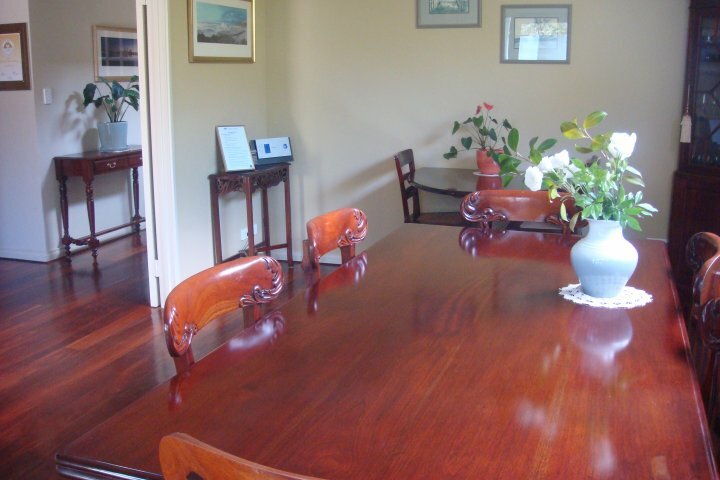 Trigg Retreat BB guests may choose to use their own computers either in their rooms, or make use of the upstairs guest lounge, downstairs breakfast room or the garden courtyard. A computer alcove provides a computer with free internet access for those without a laptop. 1230 pm - 8.00pm or by arrangement. Please advise approximate time of arrival when booking. 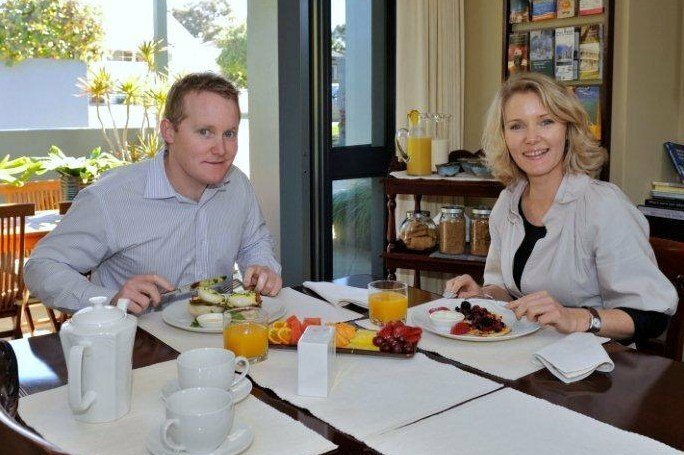 Only 2 adults per room at Trigg Retreat Bed and Breakfast. 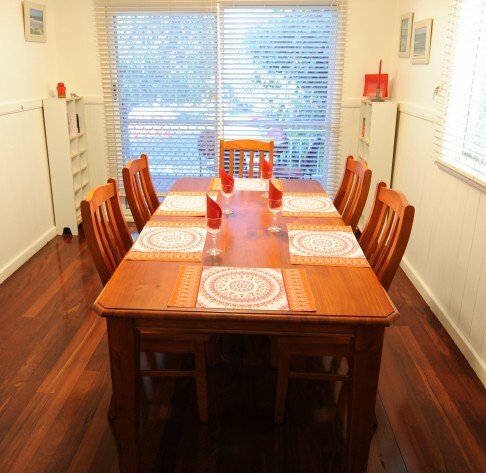 Maximum of 4 people at Trigg Beach Cottage. No extras for either property. 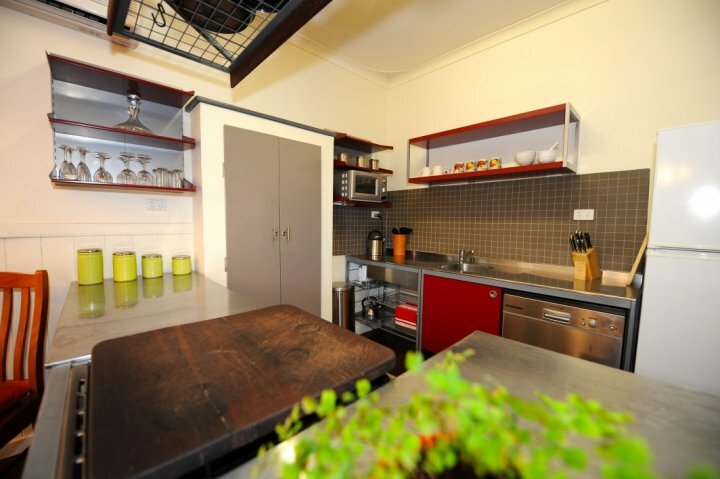 An off-street car bay is allocated to each room for parking at Trigg Retreat BB. 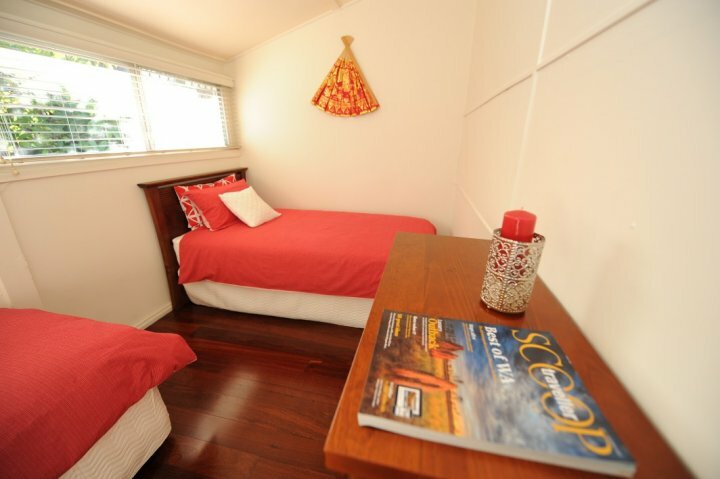 An off-street car bay is available for parking at Trigg Beach Cottage. 30 minutes direct route to domestic airport and 35 minutes direct route to the international airport. At end of our street, turn right into North Beach Road and keep driving straight - North Beach Road changes name to Reid Highway, changes to Tonkin Highway and airports both domestic and international off this. Blue airport signs provide distances as you travel along this route. 'Just a stroll to the beach'. 5 minutes walk to the coast and Mettams Pool which is a renowned safe family swimming and snorkelling bay. Trigg Beach is Perth's most popular suburban surfing beach. 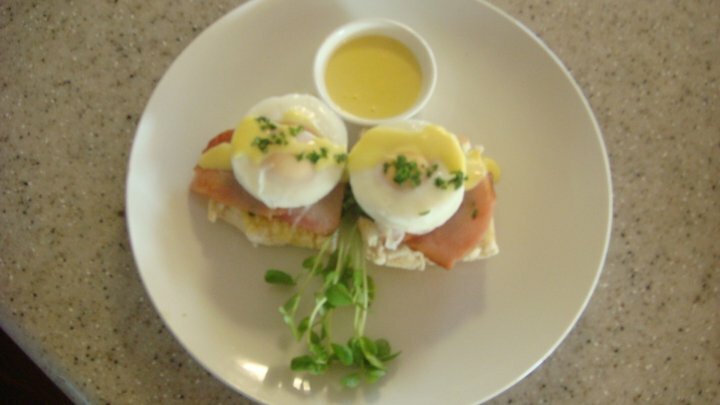 You choose the type of cuisine preferred and the range is extensive from fine dining to casual outdoor cafe meals and all within walking distance or short drive. Perth 's wonderful climate supports the many outdoor activities which include enjoying a movie in the open air at the Somerville Theatre in Nedlands or Pines Theatre in Joondalup. A range of world class outdoor concerts are held in Perth at Kings Park. 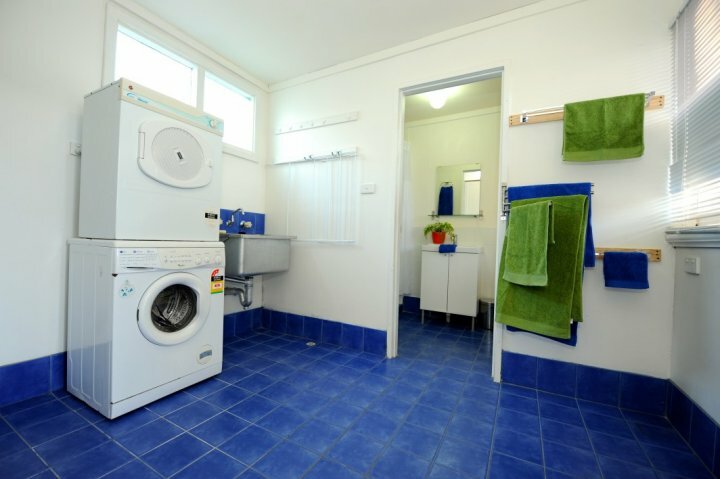 A buzz of interesting shops, places to eat, a harbour for boats, a safe and protected swimming beach, a fun park for children, Rottnest Island ferry departure and drop off location and much more at Hillary's Marina which is 10 minutes from Trigg Retreat. Also enjoy AQWA, an underwater world with fascinating fish and sea life swim in the fish tank if you dare. Take a tour to experience the wonders of the waters - whales in their ocean home. Imagine the feeling of being close enough to see this marvellous sight! The magnificent views of Perth city and the Swan River will take your breath away. Walkways will guide you through gardens and bush, past waterfalls and fountains. Alternatively take the 'tree top' walk and enjoy the views from up in the trees. A great way to experience the outdoors and enjoy the beauty of the Swan River is to take a cruise. There are many varieties including half day, full day, wine cruises, or evening cruises. 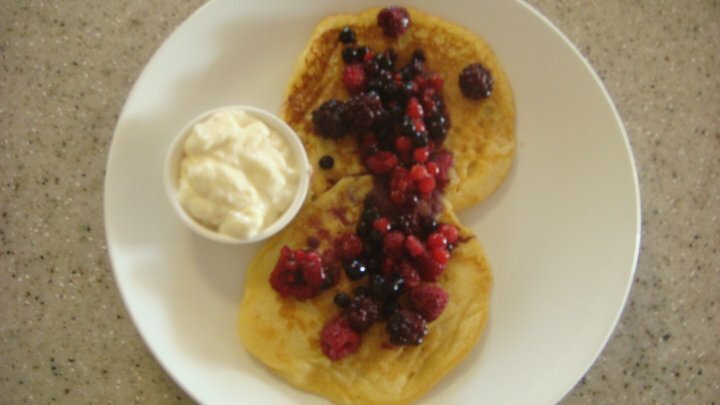 Fremantle and Subiaco are famous for their markets which have something of interest for everyone of all ages. 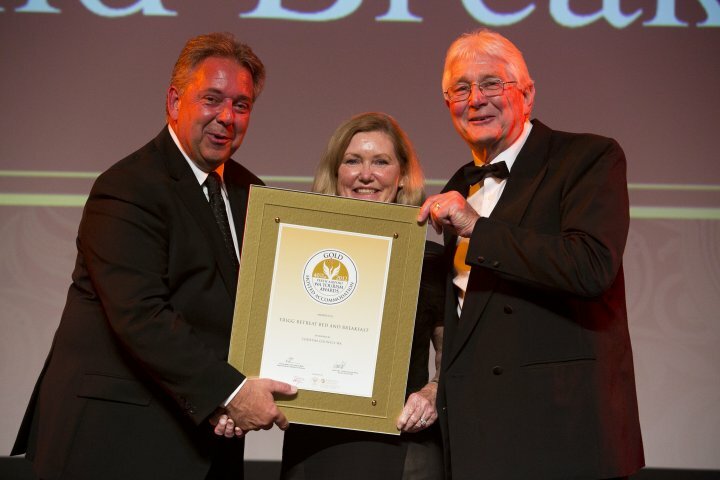 The local Perth wine region - picturesque wineries to visit and award winning wines to taste. Sample some delicious food while enjoying the wines. The Pinnacles comprise of thousands of limestone pillars in a yellow sand desert resembling an ancient ruin - a spectacular sight - walk amongst them. There is so much to do!